Arlington, VA, January 29, 2015 – Today, PBS KIDS announced its annual PBS KIDS Writers Contest, designed to promote the advancement of children’s literacy skills through hands-on, active learning. The contest is open to children in kindergarten, first, second and third grades and encourages creative thinking and storytelling, while building literacy skills through the creation and illustration of original stories. 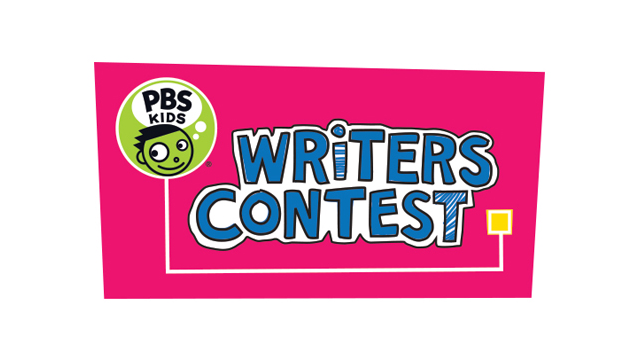 PBS stations throughout the country will collaborate with schools, public libraries and other community-based organizations to present the PBS KIDS Writers Contest in local communities. Each station will select local winners and award prizes. The local winners will then be entered into the national contest, and a panel of esteemed judges will rank the top 12 entries. National winners will be announced during the summer of 2015, and the winning stories will be featured on pbskids.org/writerscontest. The national winners will receive prize packages including ARTHUR® books courtesy of national prizing sponsor, Little, Brown Books for Young Readers and a personal technology device courtesy of PBS. The PBS KIDS Writers Contest is produced by PBS and based on the Reading Rainbow® Young Writers and Illustrators Contest, a concept developed by WNED-TV, Buffalo. To learn more about the judging panel, visit pbskids.org/writerscontest. To help young writers get started, PBS KIDS offers a robust set of resources for children, parents and teachers. Story ideas and activity sheets, along with the previous winning entries, are available on the contest website to inspire children during the brainstorming process. PBS LearningMedia is also offering a collection of online teacher resources for use in classrooms nationwide. To enter the contest and for more information on entry rules and contest resources, visit pbskids.org/writerscontest or your local PBS station website.